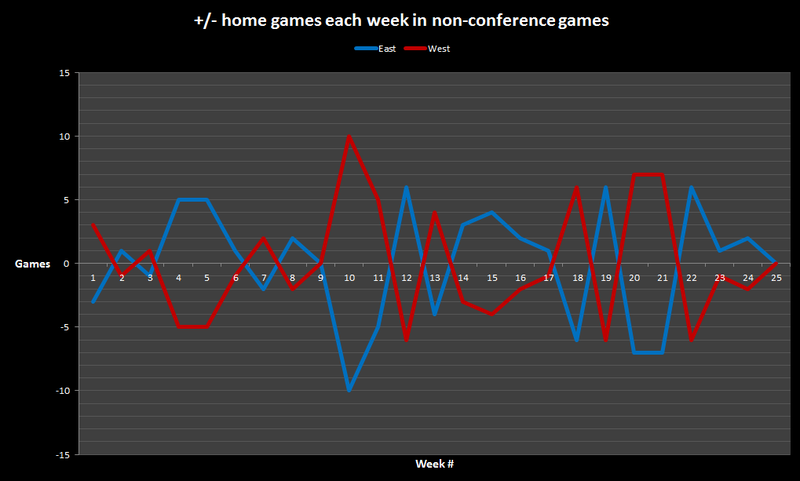 One week of non-conference play is in the books, and the West finished 6-1 against the East. The only loss came on Saturday night when Minnesota lost a close one against a Derrick Rose and Taj Gibson-less Bulls squad. The West did score some key wins, though, like Memphis over Charlotte in a game that felt like 2004 (the dead ball era) all over again. 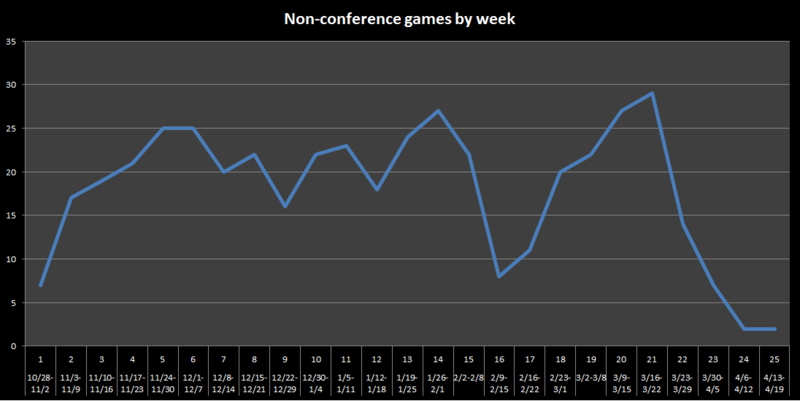 Though a large number through seven games, point differential says the West ran slightly better than expected. That’s probably thanks to Minnesota holding on against the Pistons Thursday night after blowing a 19-point lead in the 3rd quarter. It looks like the East has one extra home game in Week 2 than the West, and the five key games listed above feature three of them on East courts. The East will have actually have a nice home-court stretch through Week 5, playing seven more home games than the West by then. So starting with Cleveland playing three non-conference games this week, this could either be a stretch where the East gains some ground or the beginning of an onslaught by the West.